Blafre bedlinen. It’s a splash of Scandinavian cool, a bit of bedtime fun and a whole lot of awesome retro vibe! 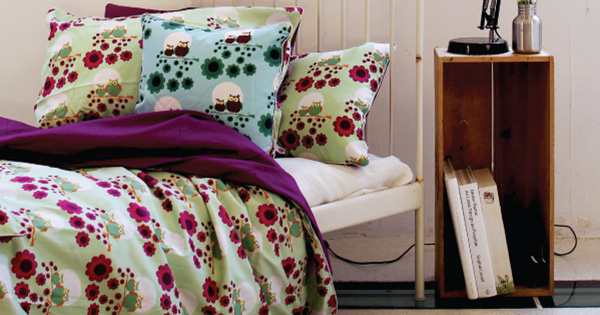 Click through to discover gorgeous bedding and accessories from Norway’s Blafre label. If there’s something I’ve learned over the years it’s that a surefire way to make bedtime a little more favourable is to make your child’s bed an inviting place to clamber into. 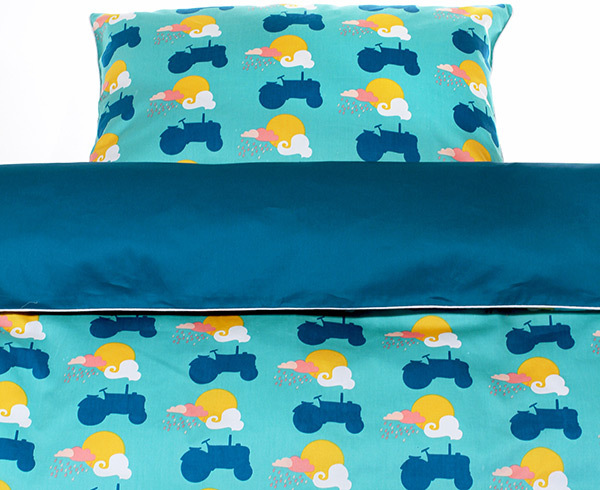 Blafre cater to kids’ decorating tastes in typical Scandi fashion – you want a tractor on your bed, you’ve got it – in a simple striking silhouette print for maximum impact. What little boy wouldn’t want to snuggle into a bed completely covered in tractors? Blafre uses colours that are bold and bright, with contrasting covers designed to be reversible. Four designs are available in the bedding range – Tractor, Owl, Fallow Deer and Cat and all designs come in multiple colour choices for cots or single beds. 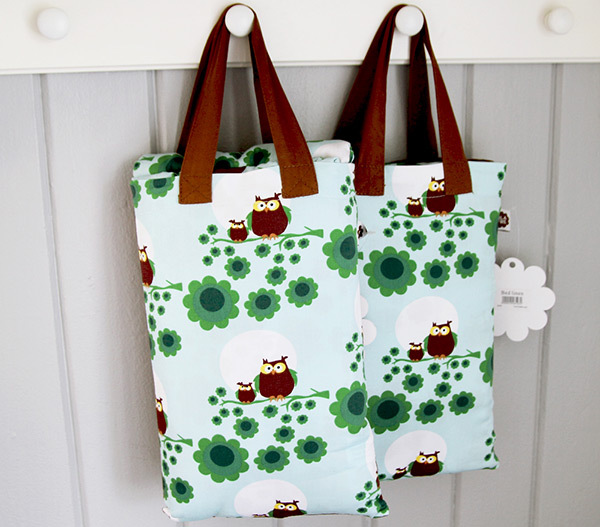 Each set comes in a handy matching cloth bag which is handy for gift giving or a neat place to stash pjs when not being worn. 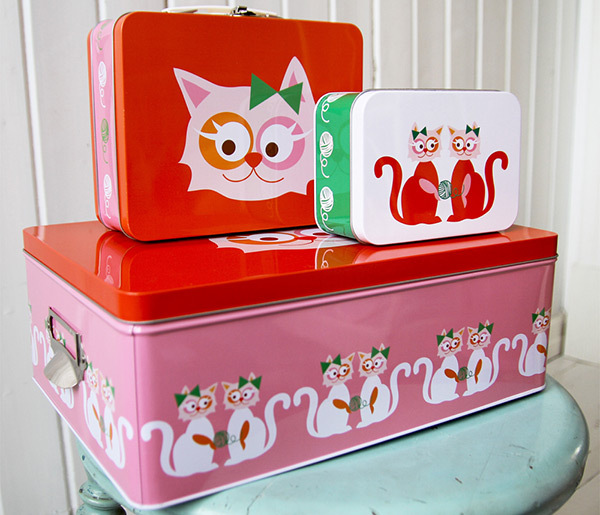 The awesomeness doesn’t stop with bedding – Blafre also have their Nordic finger on the pulse of homewares and accessories with an amazing array of children’s purses, lunch boxes, water bottles, ceramics and storage tins with adorable prints. Blafre do ship internationally and some Blafre bedding (priced from $49.95) and accessories are available locally from Baby Goes Retro.